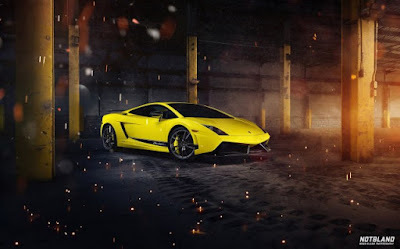 This beautiful car has not been wrapped but is the one off Giallo Tenerife Lamborghini Gallardo LP570-4 Superleggera and gosh does it look amazing! The car certainly stands out and wear it’s unique finish like only a Lamborghini can! 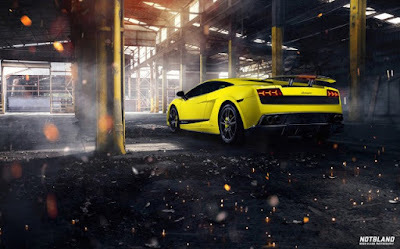 The car resides in Baton Rouge, Louisiana, is entirely standard but that sure is no bad thing as it is a lighter and more powerful version of the LP560-4. Using carbon fiber and other lightweight materials, the team at Sant’Agata managed to strip out an impressive 70 kg from the car. As for the engine, 570 bhp is produced at 8,000rpm, with torque curve peaks at 540 Nm (398.3 ft-lbs) at 6,500 rpm. The minimal gain was achieved through careful ECU programming. 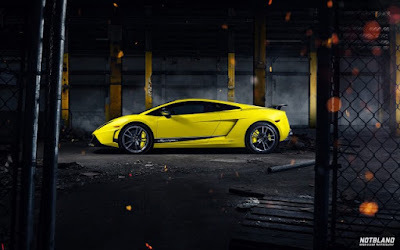 Obviously performance figures are important for a car like the Superleggera and it does not disappoint, zero to 100 km/h can be achieved in just 3.4 seconds, 0 to 200 km/h in 10.2 seconds and the top speed is 325 km/h (202 mph). This street legal race car was specified at the factory in “Giallo Tenerife” which is a three-layer pearl yellow. It is much brighter than the pearl yellow that you usually see on the Gallardo and Murcielagos. “Giallo Tenerife” can only be described as “Acid Yellow” or “Highlighter Yellow”. It has been confirmed by Lamborghini that this is the only Superleggera painted in this color at the current moment.